Lock in a great price for Hampton Court Floating Home – rated 9.2 by recent guests! We wanted to find somewhere unusual to stay as a late 50th birthday celebration and to see the New Year in. Staying on Bluebird was the perfect choice – a really special and memorable experience. The boat was very well equipped and the kindness and generosity of the owners was clear from the start. They seemed to have thought of everything to make our stay as comfortable and convenient as possible. From fine details (such as there already being tea, coffee, shampoo, tissues and much more besides, on board for our use) to special facilities (access to a pedalo, a hot tub and a roof to sit out on) – everything was wonderful. We sat on the roof to watch the New Year fireworks that went off nearby on the marina. Th hot-tub was a treat! Wildlife, near to Hampton Court, comfy bed. A fantastic experience for the family. Exceptional service/great communication. The accommodation was brilliant and there was nothing more that we could have wanted or needed. We loved the use of the boat and will definitely be back (next year). Thank you so much. A really excellent location and it was wonderful to have breakfast watching all the comings and goings on the river. A very spacious living area for a boat, generous bathroom, large main cabin, with a TV and wi-fi so as good as any "real" house. My crazy children missed the fact that they were went to sleep on the sofa bed (we had been to a very good wedding) but seemed to be very happy in the bunk beds! We really enjoyed the stay at the Hampton Court Flosting Home, the directions were easy to follow and the facilities were excellent. Great location for Hampton Court. Would recommend to stay there, and have already planned next years get a way. The boat was fully equiped with everything we needed. The owners were very helpful and friendly. Offering a private hot tub and roof garden with river views,Hampton Court Floating Home is an exclusive use heated self-catering 6-berth houseboat set in East Molesey. Guests benefit from free WiFi. 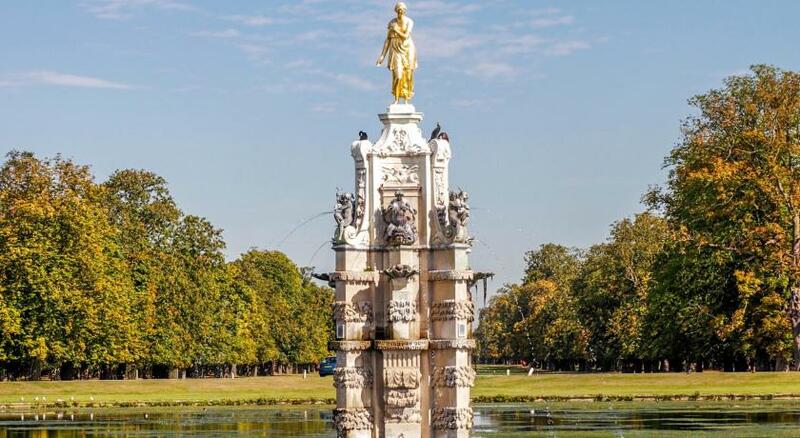 The boat is moored 0.7 miles from Hampton Court Palace , offering links into London Waterloo Station as well as a choice of restaurants and pubs. 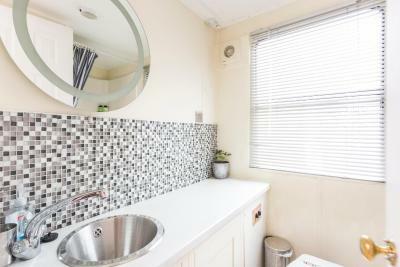 Facilities in this self-catering accommodations include a fully-equipped kitchen, shower room, Smart TV, WiFi, sound system, PS3, Netflix, Alexa, board games, books, towels and bed linen. An open-plan living area with a double sofa bed is available. The price per stay includes the barbecue facilities and an outside dining area. There are a selection of petrol motor boats to hire and free use of pedalos and paddle boards subject to availability. The property can also quote for tailor made cruises/charters upon request. London is 12 mi from Hampton Court Floating Home, while Windsor is 12 mi away. Hampton Pool can be reached in 18-minutes' walk. London Heathrow Airport is 7.3 miles from the property. When would you like to stay at Hampton Court Floating Home? 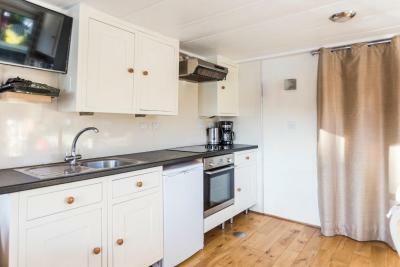 This exclusive use self-catering floating home features heating throughout, WiFi and all modern conveniences. There is an open plan living area with a double sofa bed. House Rules Hampton Court Floating Home takes special requests – add in the next step! A GBP200 damage deposit is required 14 days before arrival (about USD258.14). This deposit will be fully refunded 7 days after check-out, as long as there isn't any damage to the property. A GBP 200 security deposit is required via PayPal or bank transfer prior to arrival for guests to receive full access details This deposit will then be refunded within 7 days of checkout subject to a damage inspection. Please note there is no staff on this boat. There are a selection of petrol motor boats available to hire from GBP 35 to GBP 75 per half day plus complimentary use of pedalos and paddle boards subject to availability. Guests may be required to pay a mooring fee between GBP 5 and GBP 20 per night dependent on location, including GBP 100 per hour to move the boat to alternative moorings. Please note that early and late check-in or check-out is subject to availability at a surcharge of GBP 10 per hour. This fee needs to paid directly on arrival. A damage deposit of GBP 200 is required. The host charges this 14 days before arrival. That's about 258.14USD. This will be collected by bank transfer. You should be reimbursed within 7 days of check-out. Your deposit will be refunded in full by bank transfer, subject to an inspection of the property. It was a little hard to find the access gate. Everything we needed was there. Very comfortable. The deck could have done with a swab down between guests - the previous ones had spilled something and not cleared it up.